Even with all of the educational apps in the App Store, it can be hard to find THE perfect game for your little one. Our Free App of the Day solves that problem! TinyTap, Moments Into Games lets parents create educational games from “templates” by adding pictures of and facts about their kiddos. TinyTap allows parents and kids to create educational games from everyday moments. Creating a game is simple – add a photo, record some questions, trace the answers and you’re ready to play! With TinyTap all it takes is a few taps to create fun educational games that will keep your children engaged for hours. TinyTap offers a learning experience unlike any other. Games are simple to create and can even be shared with friends. All games can be personalized to suit the needs and interests of each individual child. In a matter of seconds you have an educational game that’s not only fun but will develop your child’s creativity in unimaginable ways. TinyTap is the perfect addition to any classroom. It’s now simpler than ever for teachers to create fun and interactive activity books. Teachers worldwide are using the platform as teaching aid in the classroom. TinyTap is also being successfully used for people with autism. 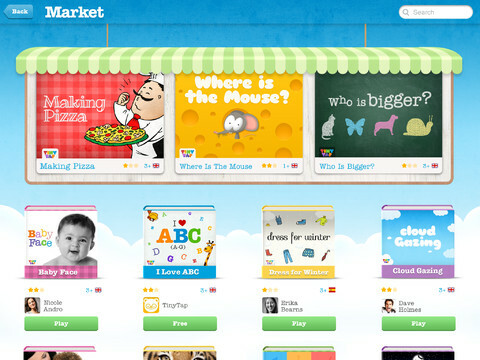 The TinyTap store is filled with a selection games that are ready to be personalized and played. All these games focus on developing a child’s imagination, creativity and coordination without compromising on any of the fun. These include games about colours, animals, shapes and more. A new tool which puts the power of doodling in the tap of your child’s fingertips. Artist puts a conveniently designed palette with everything from paint brushes to pencils in your child’s hands. Parents and teachers could use Artist to teach children the alphabet, numbers or to simply tell a story. Great feedback, thanks so much for sharing!